Looking for an easy dessert? 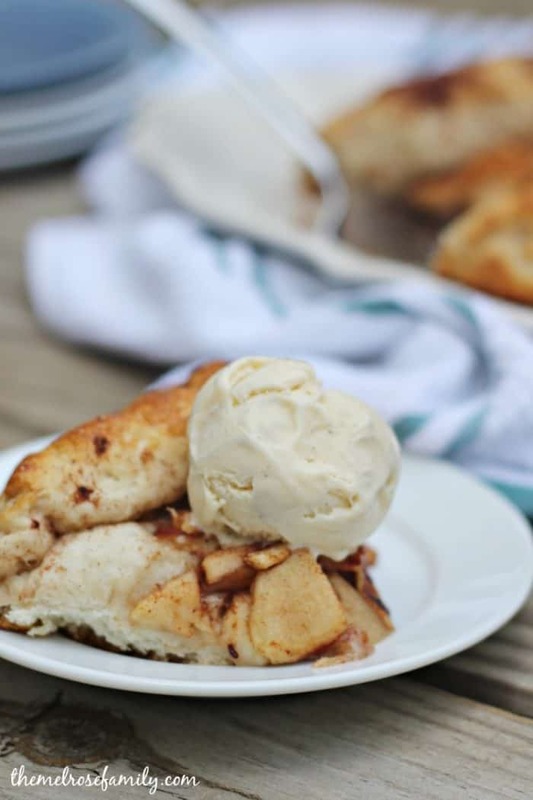 This apple pie crostata is ready in less than 30 minutes and is the perfect breakfast or dessert. 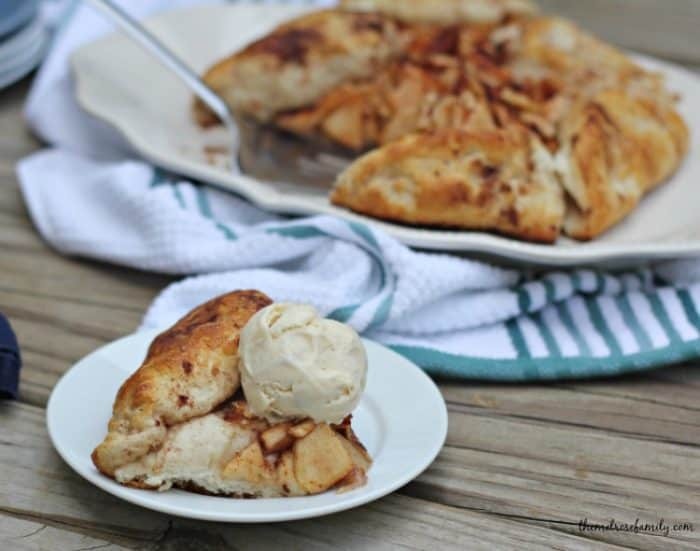 Plus, you can never have enough apple recipes with fall just around the corner. I have a confession to make. I LOVE all things bread. Who doesn’t though right?! One of my biggest weaknesses are pillsbury biscuits. My issue is that I always eat too many and those tubes that you buy in the refrigerated section come with six in them, which means that my husband and I have to eat at least two. In order to remedy this, I stumbled upon Grands Frozen Biscuits. Now I can just cook as many as I want. Plus, they work perfectly as a flaky crostata crust. One of my other obsessions is apple pie. I literally have at least 8 apple pie recipes on my site, cookies, cupcakes, mini pies, actual pie, bars, energy bites, bread pudding, and muffins. My girls are just as obsessed as I am so when this crostata was baking during quiet time they both came out asking what that amazing smell was. All I could do was giggle and tell them to get back into their rooms so that I could top my slice with some french vanilla ice cream and dig in. What?! I had to taste test it before I gave it to them. Let me just tell you that this was worth the mid afternoon calories. 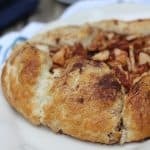 The apple pie filling was light and sweet with a flaky, warm crust. 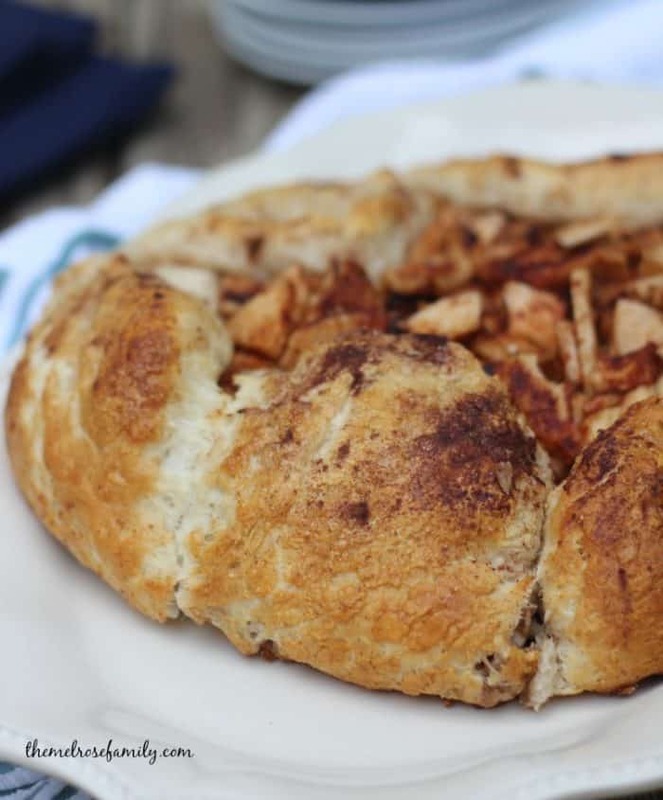 The best way I can describe this apple pie crostata is that it’s a sweet version of a broccoli cheddar bread bowl. Just something that you want to dive right into. Sweet and comforting that you can eat for breakfast or dessert. Looking for an easy dessert? 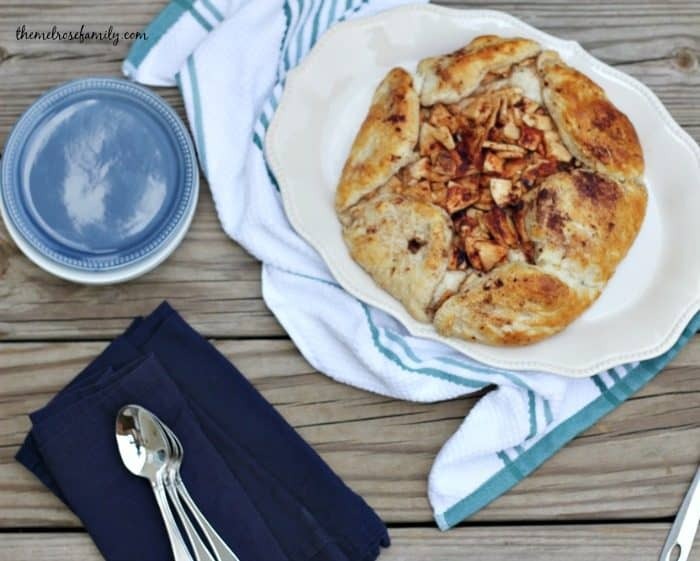 This apple pie crostata is ready in less than 30 minutes and is the perfect breakfast or dessert. Defrost the 7 biscuits in a baking dish with saran wrap over the top at room temperature for 30 minutes. Dust your workspace with floor and use a rolling pin to roll out the biscuits into a flat surface. Prepare the apple pie mixture by combining the chopped apples, sugar, cinnamon, nutmeg and salt. Melt the butter and add into the apple pie mixture. Mix well and pour into the center of the flattened biscuits. Roll up the sides of the biscuit to encompass the apple pie mixture in the center. Sprinkle the outside of the biscuit with cinnamon and sugar.